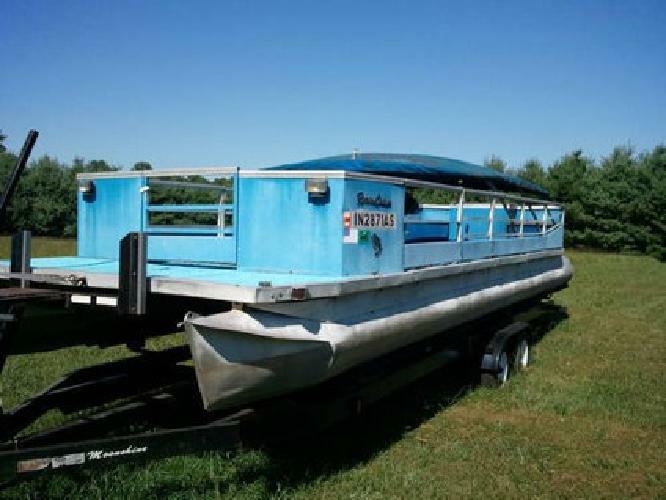 For sale a xxxx Riviera Cruiser pontoon (needs a new floor) also has a 8'soft canopy that folds down for trailering (needs a little work) includes a xxxx 35 hp Evinrude (runs great), Eagle fish finder, battery, two 6 gallon gas tanks, tandem axle bunk style trailer, battery, life vests. Would be a good winter project. $xxxx obo.